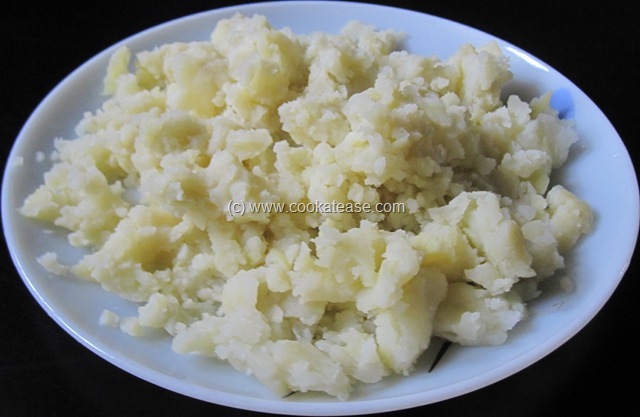 Potato is always present in the Indian kitchen as it is available throughout the year at reasonable price. 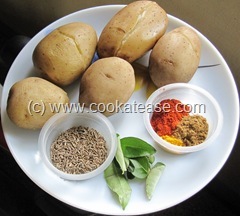 If you have some boiled potatoes, Jeera Aloo can be prepared within 10 minutes. 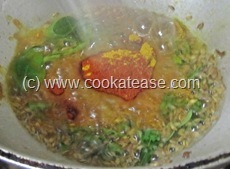 With cumin flavor it tastes good. 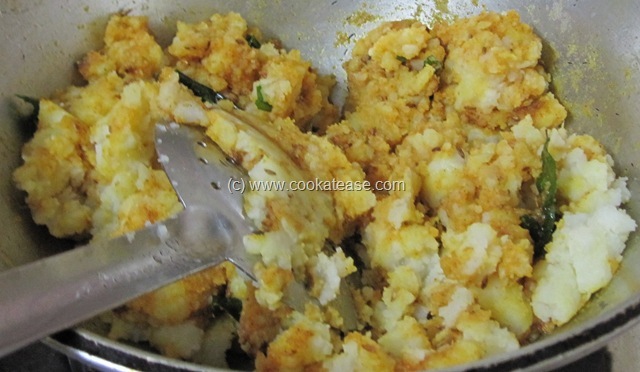 This suits well with poori and chappati. 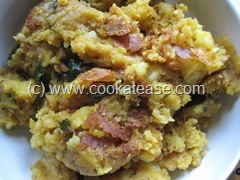 Sometimes I use this as filling for dosa. Potato is known as Aloo in Hindi and as Urulai Kizhangu in Tamil. 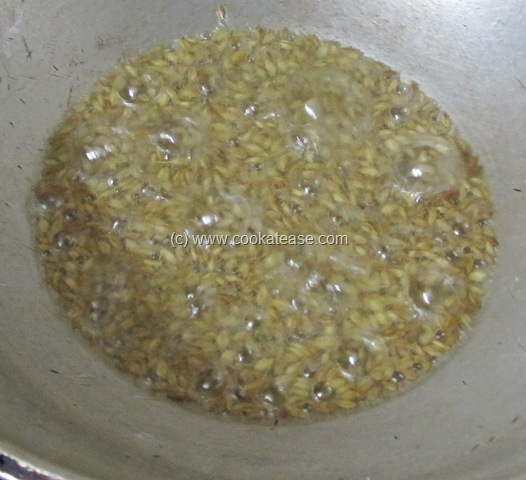 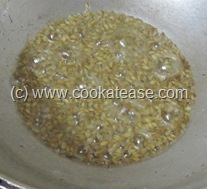 Cumin seeds are known as Jeeragam in Tamil and as Jeera in Hindi. Peel and mash the boiled potatoes; heat a pan with oil; add cumin seeds and let it splutter well. 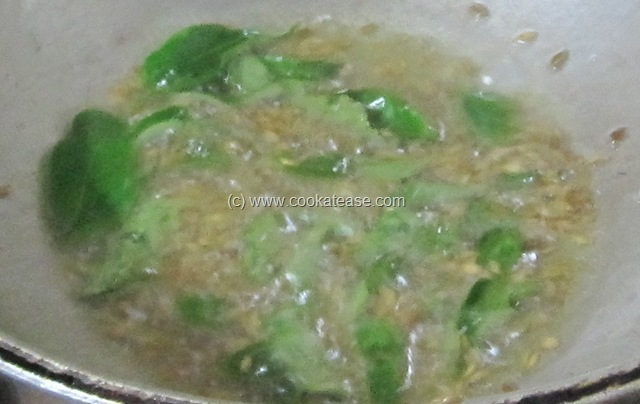 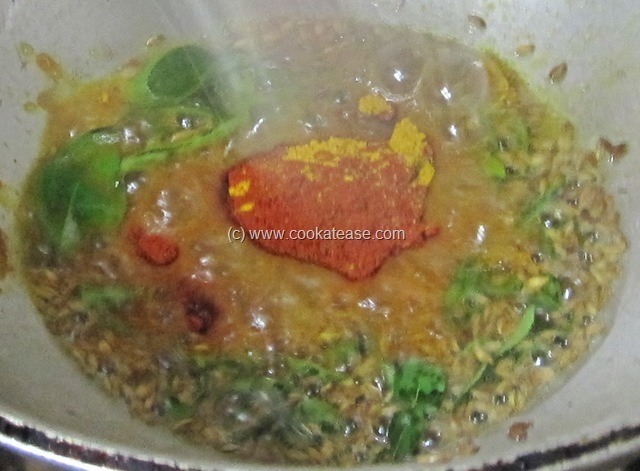 Now add curry leaves, asafetida powder and fry for few seconds; then add red chilli powder, cumin powder, turmeric powder and salt; fry for one or two seconds to remove raw smell from spices. 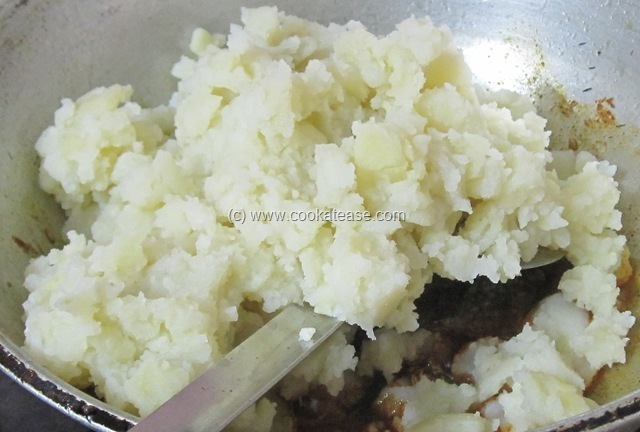 Add mashed potato, mix well and cook in low flame for few minutes; stir in between and remove when the potato is roasted well. Now Jeera Aloo is ready. 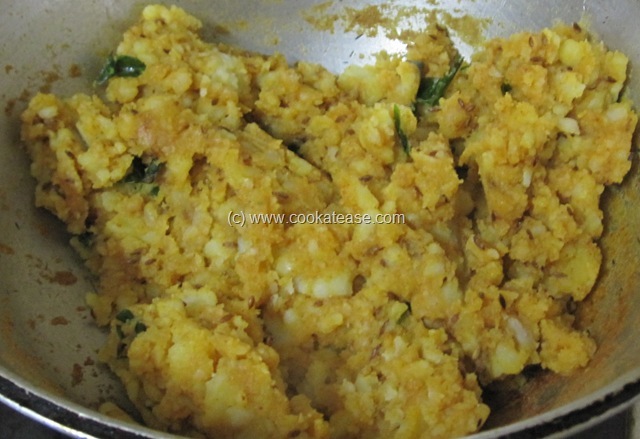 Enjoy with rice or chappati/poori/paratha. A very simple yet my all time favourite potato dish. 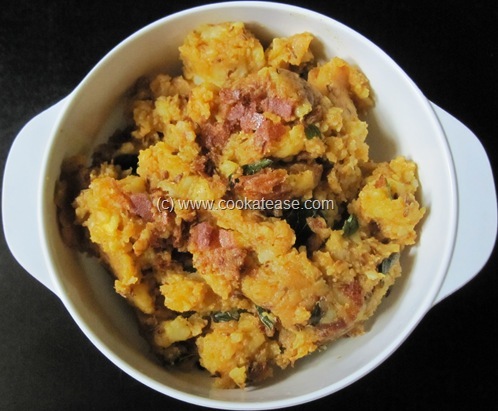 Nice simple dish goes well with chapathi.